One View: Corrupt As It Is, Pakistan Does Not Want To Keep Crisis Going : The Two-Way Anatol Lieven, author of the new book Pakistan: A Hard Country, argues that Pakistan has been hurt more by the ongoing war on terrorism than it's been helped by billions of dollars in U.S. military aid. The New Yorker's Lawrence Wright makes the case that Pakistan's military has become addicted over the years to the billions of dollars it gets from the United States. And he says one reason that country's military and intelligence services didn't discover that Osama bin Laden was living just an hour or two from Islamabad is because they didn't want to know. "The Pakistani Army and the I.S.I. [Pakistan's intelligence service] were in the looking-for-bin-Laden business, and if they found him they'd be out of business," Wright argues. On Morning Edition today, there was a different view. Anatol Lieven, a senior research fellow at the New America Foundation and author of the new book Pakistan: A Hard Country, disputed Wright's conclusion. "I don't think Pakistan has an interest in keeping this crisis going," he said of the war on terrorism and the hunt for al-Qaida leaders. 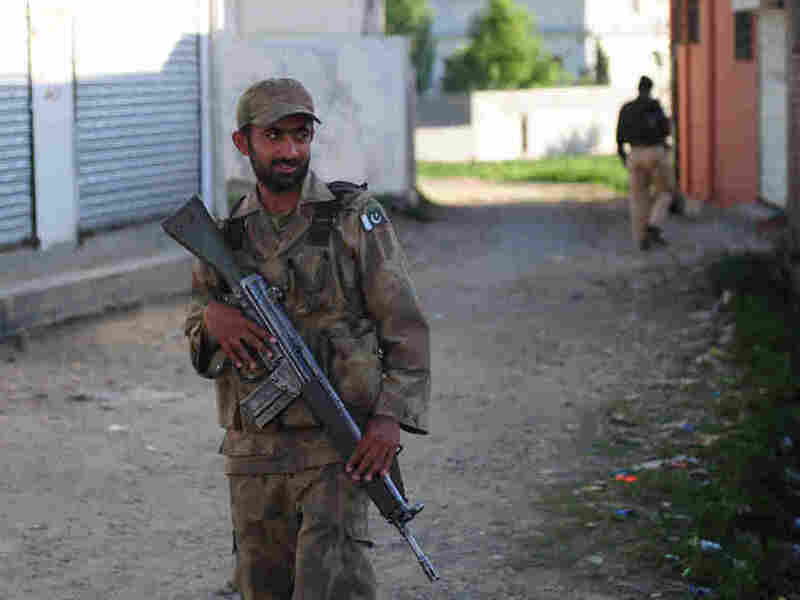 About 3,500 Pakistani soldiers and police have been killed by terrorists. Another 30,000 "ordinary people on both sides" of the war have died in Pakistan. And, Lieven said, the country has "lost considerably more in economic damage ... than [it has] gained in aid from the United States." That said, he concedes that Pakistan is among the most corrupt nations on earth — though that corruption also helps keep the country together, Lieven argues.